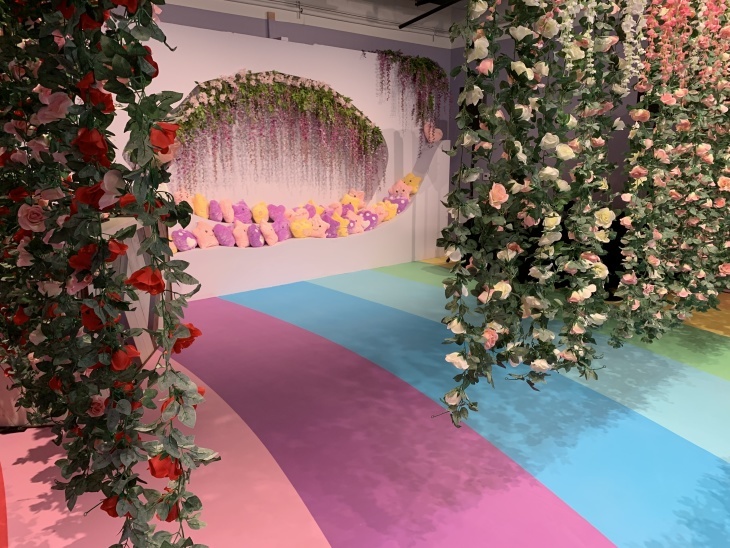 LA's Latest Pop-Up Is About Alice In Wonderland, Kind Of? 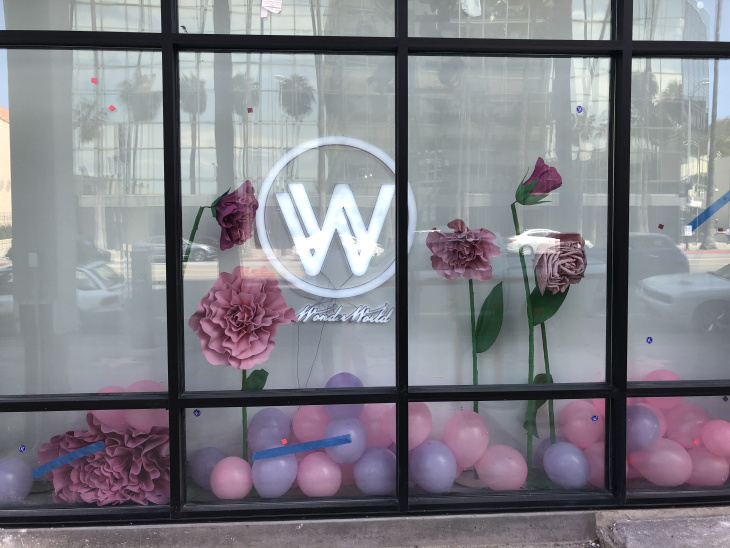 L.A.'s pop-up explosion continues with WonderWorld on Hollywood Boulevard, which opened this week. It's loosely (and we do mean looooosely) themed around the classic Alice's Adventures in Wonderland — the imagery gives you the general vibe of Wonderland, but not-so-much any specific moment you remember from either the story or the Disney films. 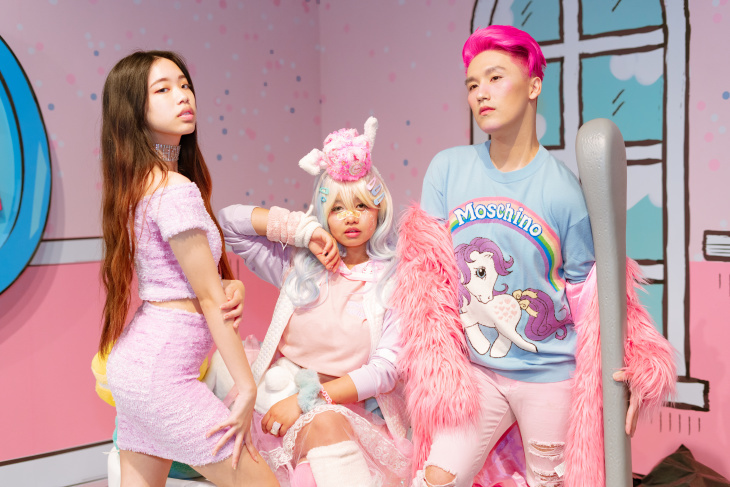 "I feel like people need to interact with other people," co-creator Jay Yue said. "The idea of WonderWorld is we want to create a girly, different world to separate it from the life out there." 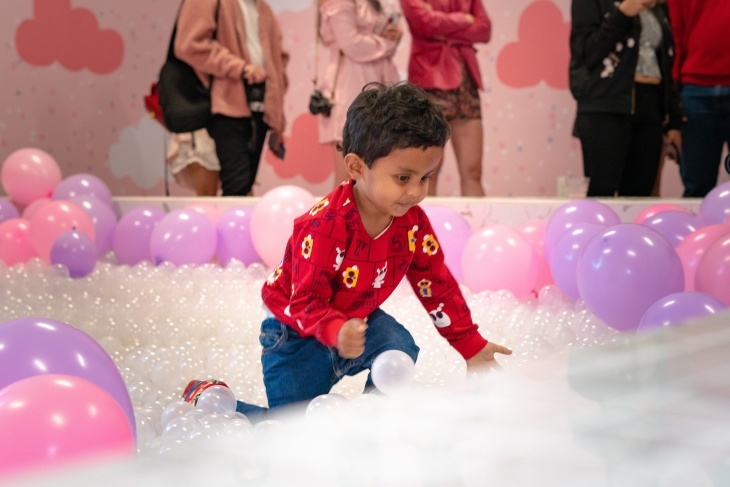 Let's take a journey through the opportunities for you to get your selfie on and meet Yue's goal of interacting with others through is $30 pop-up experience. 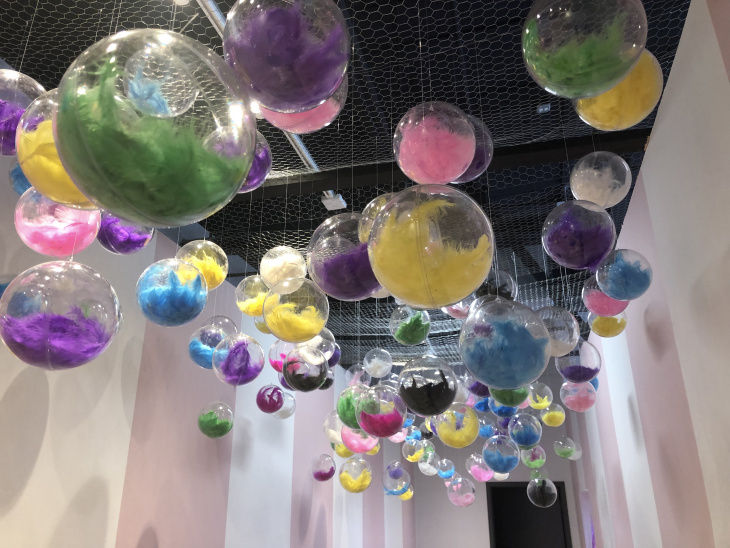 Next up is a corridor with whimsical clear spheres hanging from the ceiling, filled with colorful feathers. It's an appealing visual, but also an early sign of the loose thematic cohesion in this pop-up. It takes a stretch of imagination, but sure? Walking through the vines, you enter a grotto with cute star and paw balloons in pink, purple, and yellow. 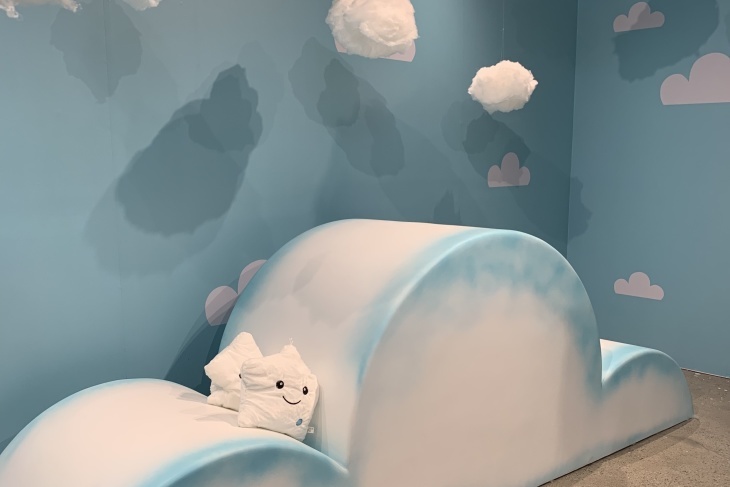 The pillows feel a little off-the-shelf as opposed to a masterful, original artistic creation, but if you want to cuddle up with something soft, here's your chance. Next up — finally, something that feels fitting of the name WonderWorld! 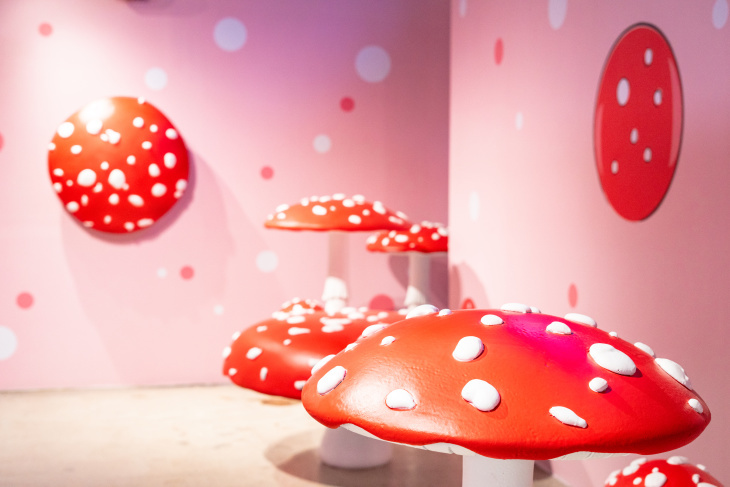 It's a room of mushrooms, which you can sit on and pose with. No one will question why you're posing with fake mushrooms. NO ONE. Dogs are also permitted to pose with the mushrooms. After this, you will find yourself in one of the rooms that was creating for specifically for L.A.'s WonderWorld. 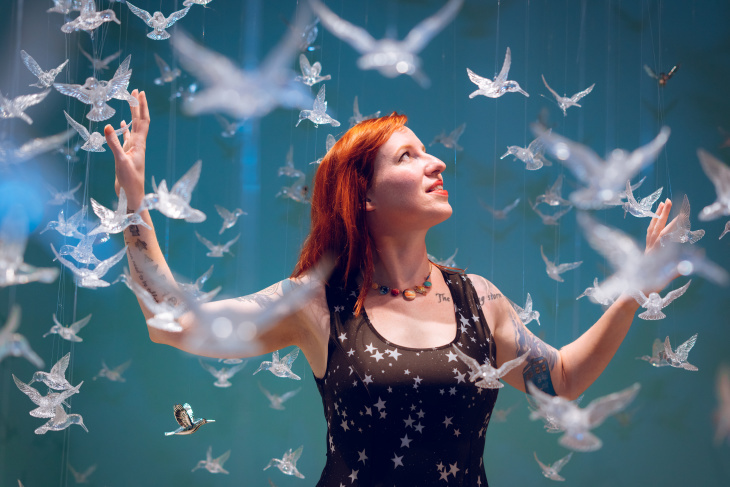 It features dozens of small, clear birds hanging from string. PRO TIP: Stand in the center of the winged decorations and have a friend shoot a video, while circling around you. This creates a Matrix bullet-time-like effect, where the birds look like they're flying. In another Wonderland-y room, you'll find some giant decorations the help give you the feeling of being shrunk down, Alice style. 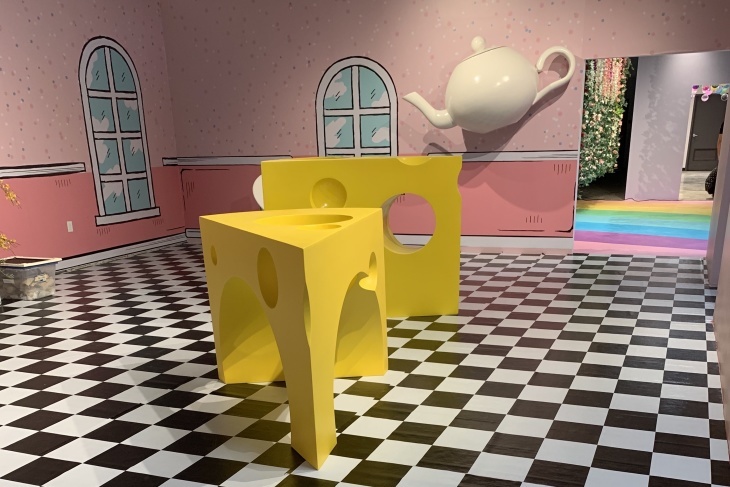 They include giant cheese, a giant teacup, giant macaroons — and more regular-size flowers...plus a giant melting clock? Sure. Next up is the virtual reality room. 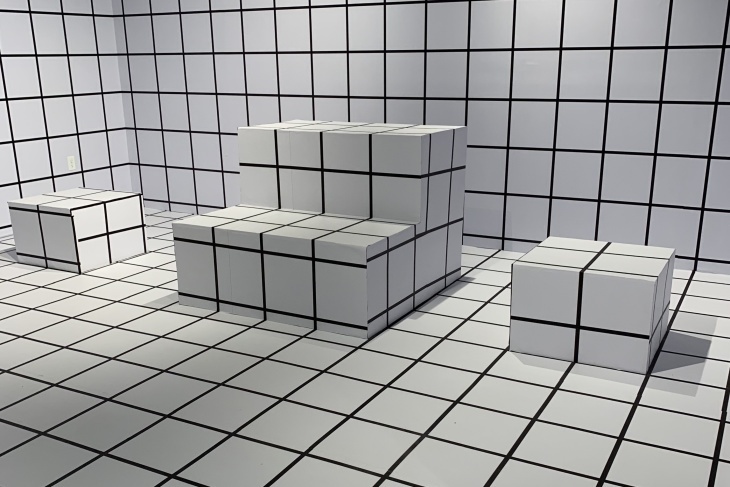 It looks like you're on the set of American Gladiators, with grid wallpaper on the walls and floor, as well as some blocks and benches. Off to the side is a small infinity mirror room. It's not quite the Broad's "Infinity Mirrors," but it's a chance to achieve something influencers everywhere likely dream of: the never-ending selfie. It includes more of those clear plastic balls, carrying pink and purple feathers. Enter the centerpiece room of the exhibition. 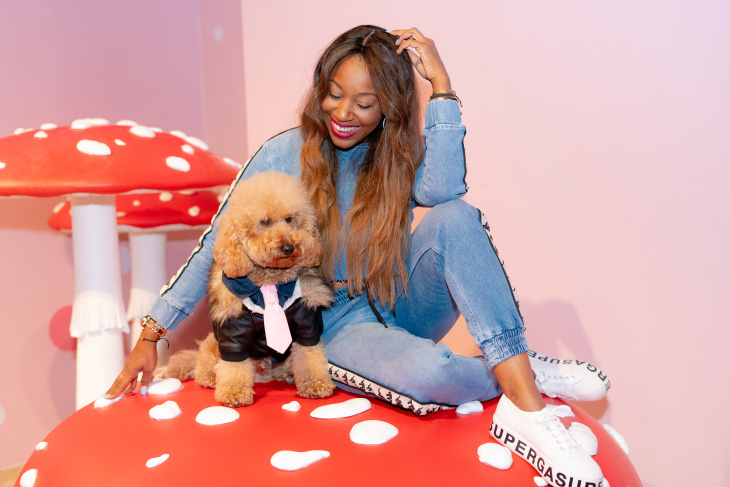 By pop-up law, these rooms must all include a ball pit, and WonderWorld is no exception. This one features mostly clear balls, along with pink and purple balloons, and a glowing moon in the center that you can pose on like you're a classic lounge star. Not really seeing the Alice connection here, but c'est la vie. 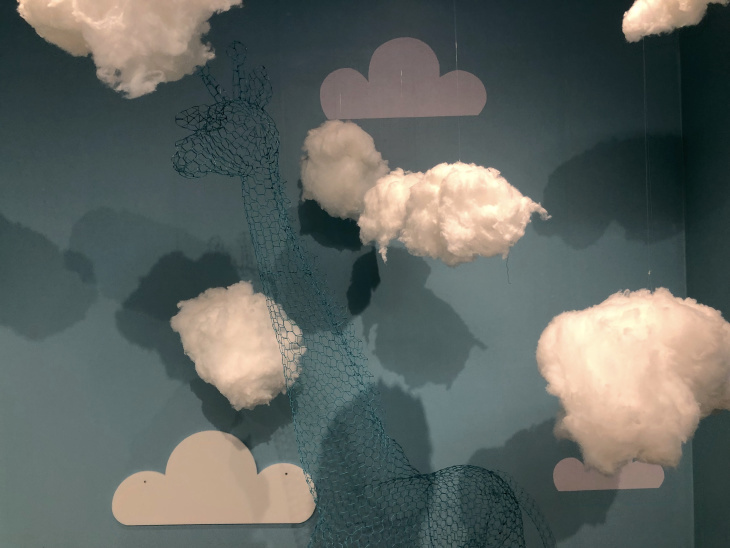 Next is the cloud room, featuring cotton ball-esque clouds, a cloud bench with white star pillows, and a wireframe giraffe. The giraffe is a bit hard to photograph, blending in with the blue wallpaper, but it looks impressive in person. Although we don't know why it's there. 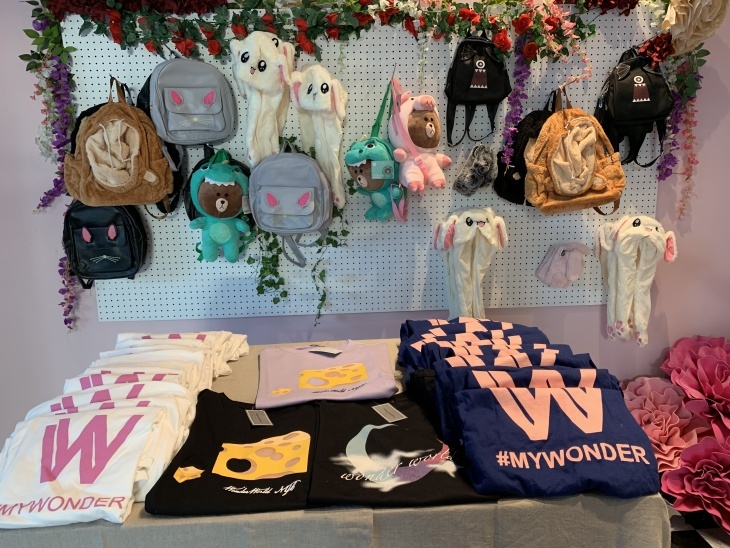 And of course, like all pop-ups, you exit through the gift shop, where you can get WonderWorld merch and other branded items. 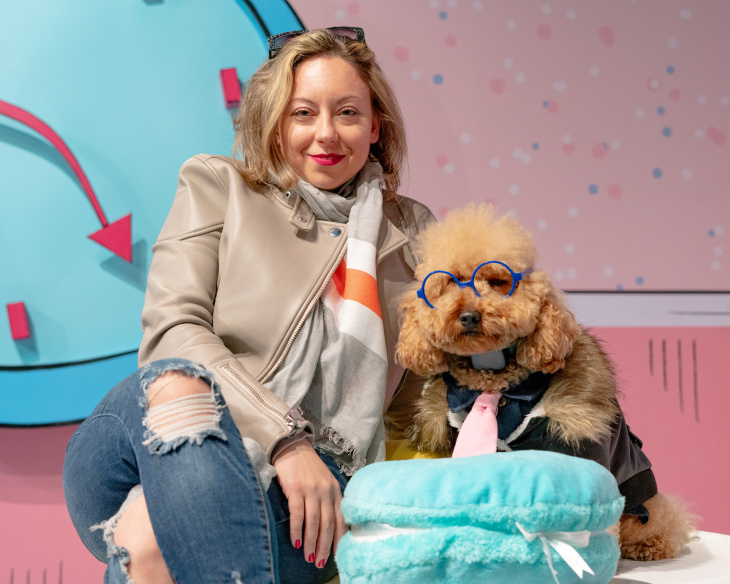 The point of a pop-up is to get you to drop money for a chance to take photos. Some emphasize the artistic elements more, some are all about the experience, and some seem like they're more about keeping costs low and giving you enough of a photo opp that you'll think the whole thing is..fine. WonderWorld ends up somewhere in the middle. 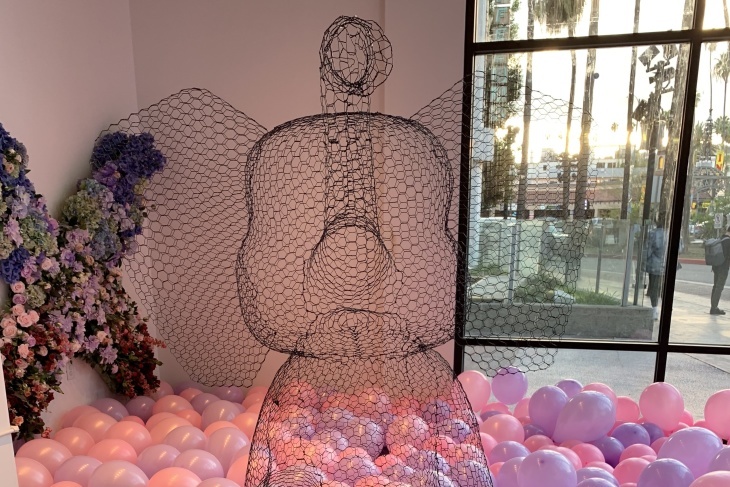 It makes sense for an exhibition whose co-creators include Hua Wang, who previously worked at Citigroup and started a venture capital fund, and Yue, who owned a restaurant and worked on Wall Street. They're hoping to find success in L.A., though they plan to overlap running the L.A. WonderWorld with another New York outing — this time in Brooklyn. Down the road, they're considering other stops, including coming back to L.A., heading to San Francisco, or even going to Shanghai. You can buy your tickets for WonderWorld right here.